St Lucia Dental prides itself on performing quality and world class smiles. Below you can see some of our amazing before and after results. 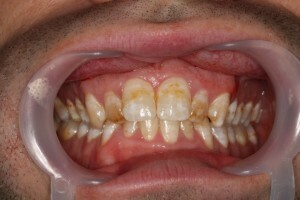 This patient presented concern with the discolouration and staining of his enamel. 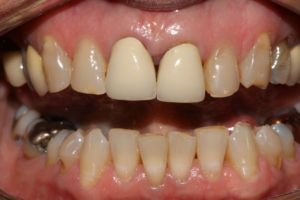 The procedure performed was minimally invasive and quick, as we were able to remove the deep stain and discolouration and restore the teeth with composite veneers. 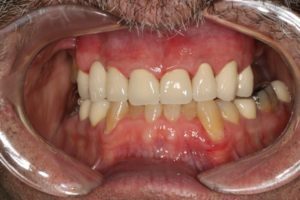 This patient came into us with a worn, discoloured and unstable occlusion. Our aim here was to restore function and aesthetics. 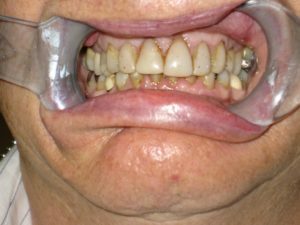 We installed multiple crowns and implants to rehabilitate this patients smile. Outstanding results were achieved as seen in the before and after photos below. 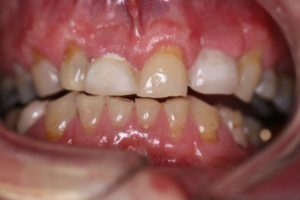 This patient presented as a trauma case where a pre-existing prosthesis had snapped in the gums and bone. 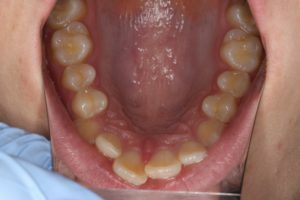 The main concern was function with the ability to chew, while not needing to revert to a denture. 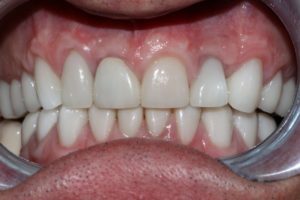 The treatment involved the placement of two implants and a bridge restoring full functionality as well as the patient’s confidence. The patient presented with a trauma to the face which had resulted in the complete loss of a tooth while another, was half broken. 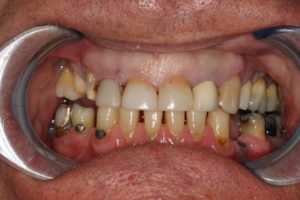 A dental implant was placed where the tooth was lost and two new dental crowns were positioned to restore function and aesthetics. 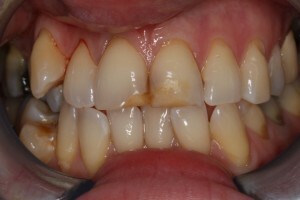 The patient was extremely pleased with the result. 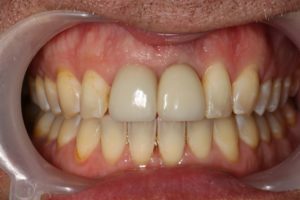 This patient came to us with worn, discoloured and broken teeth as well as a loss of confidence which disrupted their ability to smile. 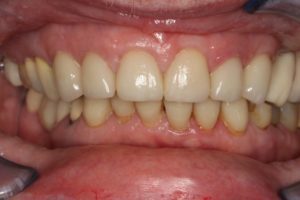 A full rehabilitation was performed, resulting in restored function, aesthetics and confidence. 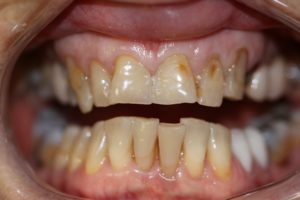 This patient came to us with worn, short and broken teeth. Extensive works were carried out to restore them. 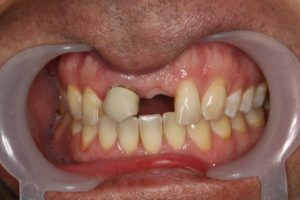 An implant was placed in the position of the missing tooth and eight anterior front teeth were restored to achieve the desired outcome. 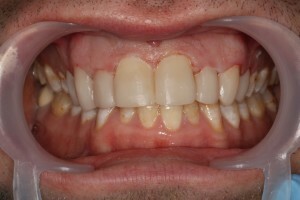 The patient had crooked and mal-aligned teeth with excessive overjet. 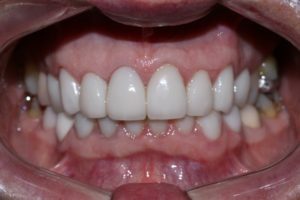 Invisalign/ClearCorrect Orthodontics – the clear alternative to braces, were used to restore full function and aesthetics. Outstanding results were achieved, as seen in the before and after photos below. 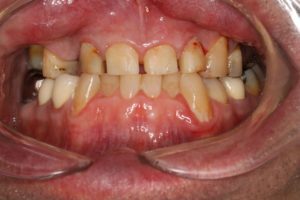 The patient had worn, discoloured and broken teeth which were comprehensively renewed to improve functionality. 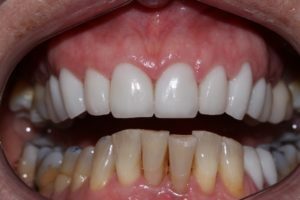 10 crowns were placed to improve the aesthetics for this patient who was thrilled with the result. 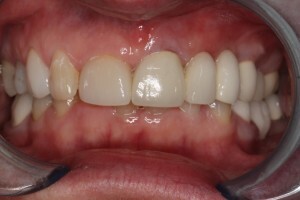 The patient came into us with broken and worn teeth. Our aim here was to restore function as well as aesthetics. 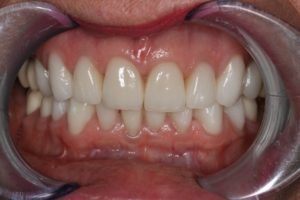 Multiple crowns and implants were inserted to restore full usage as well as their smile. 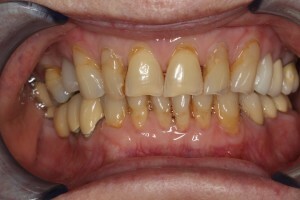 This patient came into us with worn, aged and discoloured resin fillings and plenty of decay present. 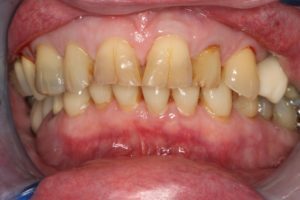 A full rehabilitation was required with multiple crowns and an Oral Health Maintenance programme introduced. 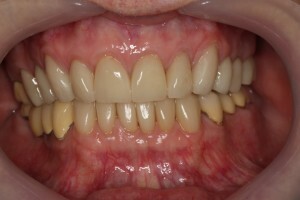 This restored confidence and gave this patient many reasons to smile. 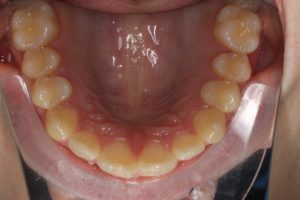 Broken, worn and missing teeth in this patient created a loss of function as well as the ability to chew properly. 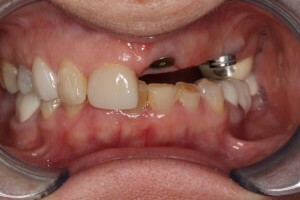 Implants and crowns were placed to improve the overall function and aesthetics of this case. 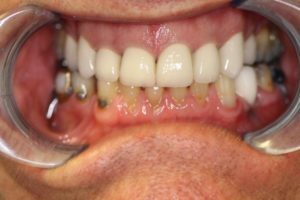 This patient wanted an overall improvement to the aesthetic appearance of the otherwise broken, worn and discoloured teeth. 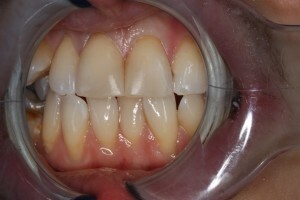 Crowns were placed to restore the function, aesthetics and confidence in the patient.